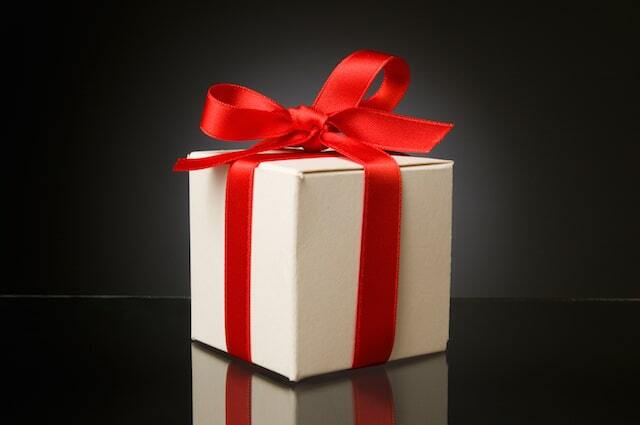 One day that is special for everyone is his or her birthday. It’s an important day to celebrate, so make sure you mark your calendars. This goes for Koreans, too! Maybe you have some Korean friends or a Korean significant other. Or you might be taking a trip to Korea soon, and want to make a good impression during your visit. Then you’ll definitely want to know the words for ‘happy birthday’ in Korean. 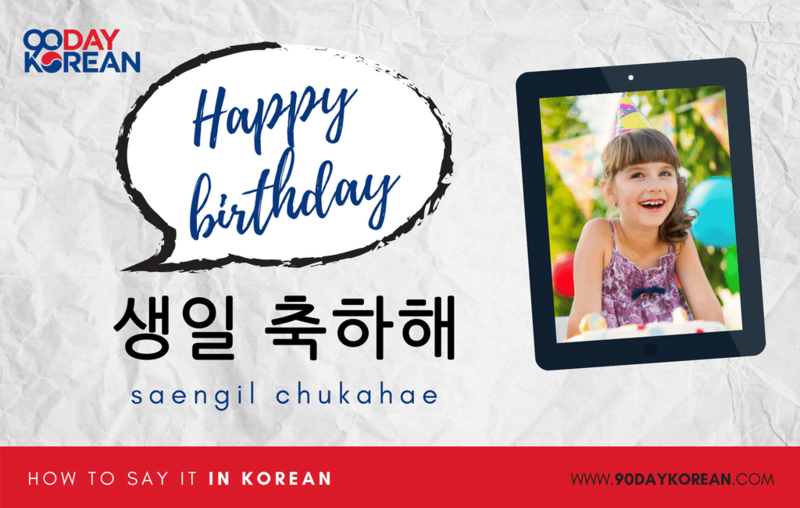 But how do we say ‘Happy Birthday’ in Korean? There are a few different ways, and you can also use the happy birthday verb for other situations. It’s quite useful! First, let’s start with the word ‘birthday’ itself. 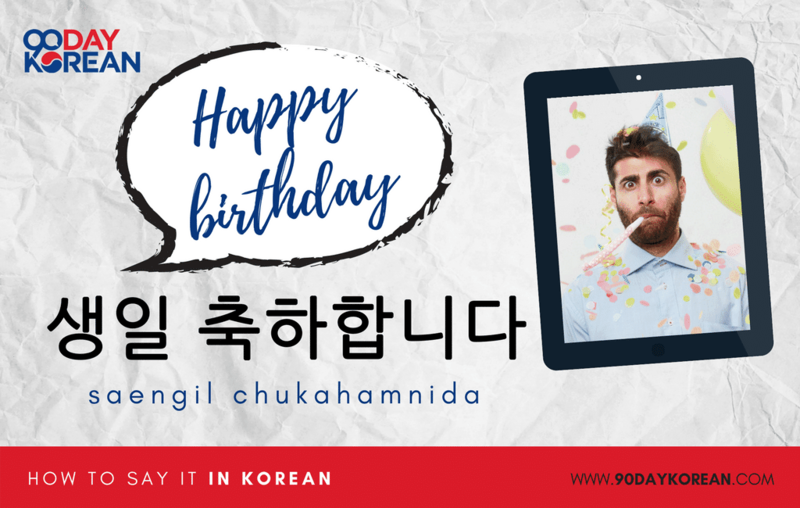 ‘Birthday’ is one of those special Korean words that have an honorific version of the word, which is used when talking to people about a generation (or more) older than you. The regular word for birthday is 생일 (saengil). You can use this word when referring to your own birthday. You can also use it when referring to the birthday of somebody who is of a similar or younger age to yourself. However, if you want to refer to the birthday of somebody who is a lot older than you then you should use the word 생신 (saengsin) instead. You would likely use this version of ‘birthday’ with people such as your grandparents or older relatives. You can use this phrase when saying ‘happy birthday’ to people who are much older than you. It uses the formal word for birthday. The verb here is 축하하다, which means ‘to celebrate’ or ‘to congratulate’. It’s combined with the verb 드리다, which is the formal version of ‘to give’. You would use this version of happy birthday in Korean to show a lot of respect for the person you’re saying it to. You might use this with your grandparents or your professor at your university. 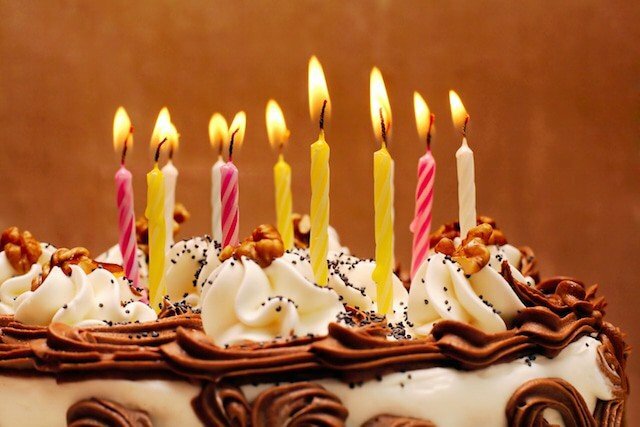 You can use a less formal version (such as the standard or informal version) of ‘happy birthday’ if it’s someone that is close to you and/or younger than you. These are two set phrases and can be used on most occasions. They are also the versions of ‘happy birthday’ that appear on birthday cards. The first version of the Korean ‘happy birthday’ song (below). The two versions are similar, except that the 합니다 version is slightly more formal. The word 축하합니다 in 생일 축하합니다 means ‘to congratulate’. You can say this word on its own if you want to congratulate somebody on achieving something. 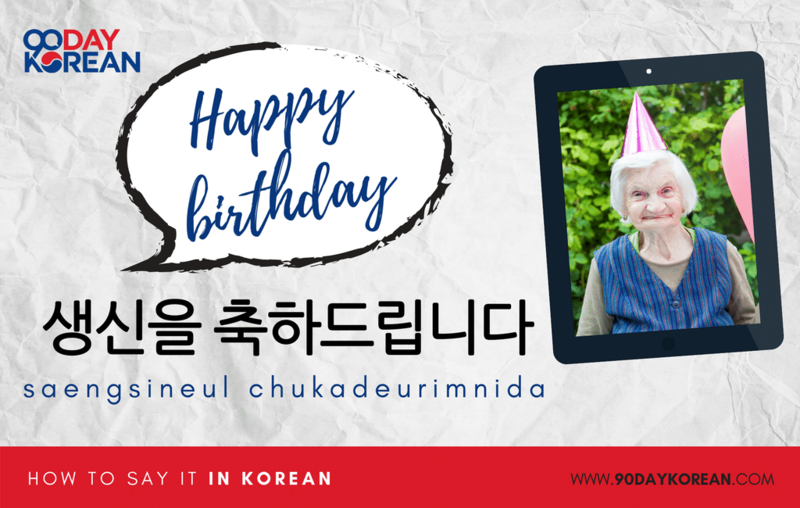 If you only want to learn one way of how to say ‘happy birthday’ in Korean, then learn this phrase. You can use this when saying ‘happy birthday’ to very close friends of a similar age. It’s very similar to 생일 축하해요, except the final ‘요’ is dropped at the end. This makes it much more informal. Use it wisely! Some examples of people you might use this version of the phrase with would be close friends, young children, spouses, or your siblings. Even though it’s informal, there is some benefit to using this ‘happy birthday’ phrase appropriately. It shows a degree of closeness that you wouldn’t get with the other more formal versions. Usually on people’s birthdays, their friends or co-workers will buy them a birthday cake. The cake is then eaten as a group. 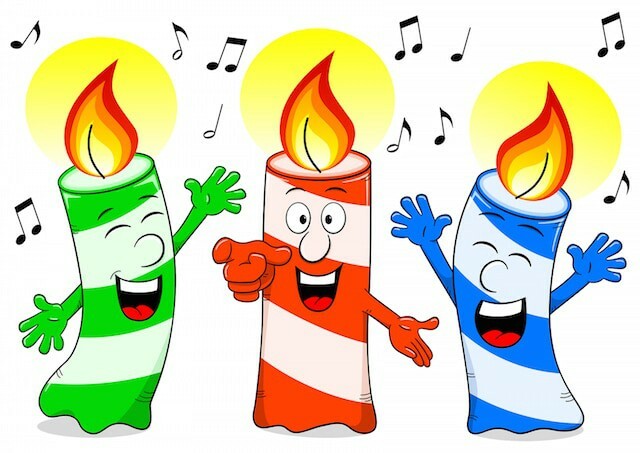 When buying a cake in Korea, you will often be asked how many candles 양초 (yangcho) you need. These candles, along with some matches, will be placed inside the cake’s box. People often eat seaweed soup 미역국 (miyeokguk) on their birthday as this is a food that mothers often eat during pregnancy in Korea. In the past, infant mortality was very high in Korea, so traditionally, a child’s first birthday is very important. Parents will throw a huge party, called a 돌잔치 (doljanchi) on this day. They will invite lots of people. If you live in Korea, you might end up being invited to such a party. 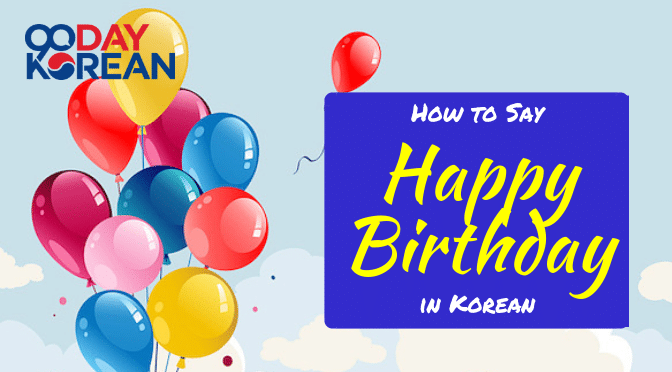 Now that you know how to say AND sing ‘happy birthday’ in Korean, it’s time to go out and celebrate! 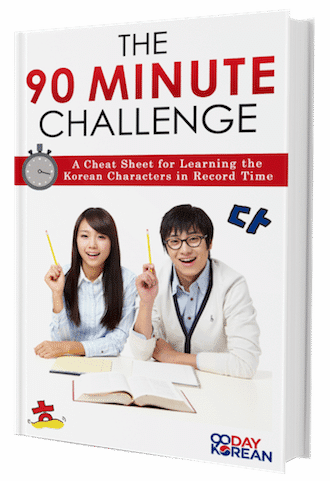 Want more Korean phrases? 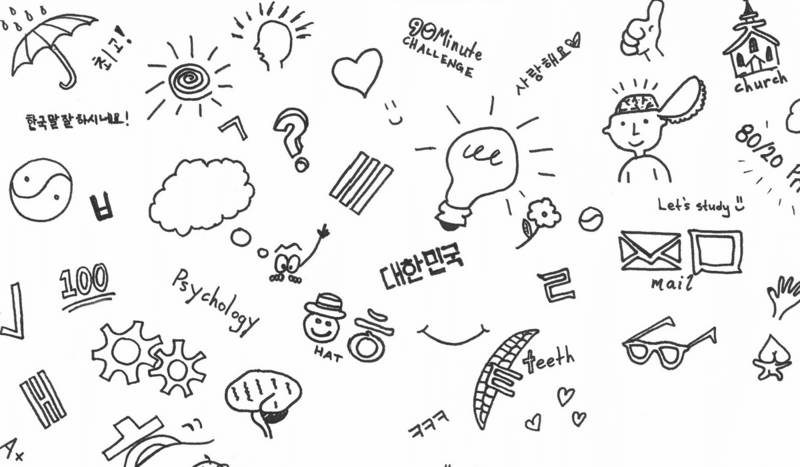 Go to our Korean Phrases Page for a complete list!